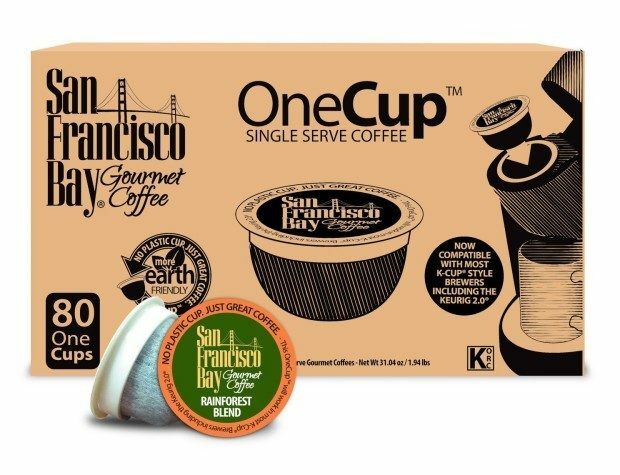 San Francisco Bay OneCup, Organic Rainforest Blend Only $29/80! You are here: Home / Great Deals / Amazon Deals / San Francisco Bay OneCup, Organic Rainforest Blend Only $29/80! Here’s a great deal on something you use every day! Get San Francisco Bay OneCup, Organic Rainforest Blend Only $29/80 which is just $0.36 per cup! If you sign up for Subscribe and Save the price drops to $27.55 or just $0.34 per cup! Remember, you can cancel your subscription at any time.